One of my current project made me think of talking about the so-called LOD of a building model. How accurately the model should be detailed ? Who is responsible for modeling a particular element ? What information should be integrated in the model ? 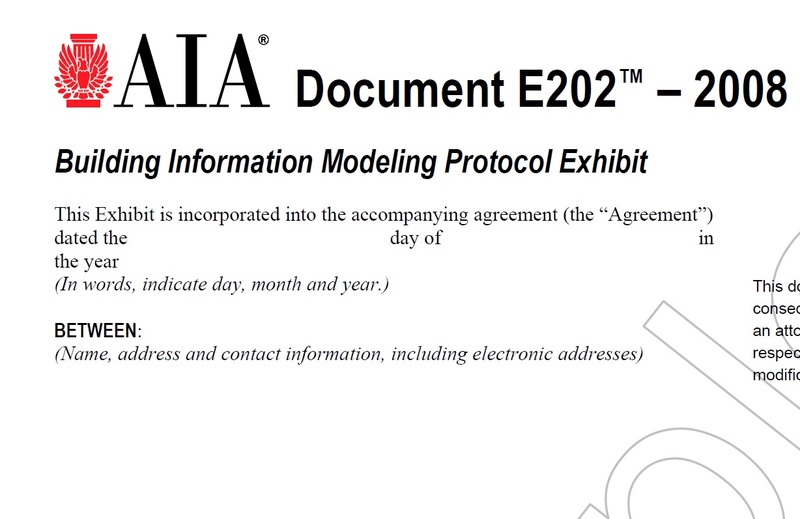 In 2008, the American Institute of Architect after further developments on this project, released their official version, the E-202 “Building Information Modeling Protocol Exhibit”. The model represent the general massing of the building, with area, volume, orientation and so on. This model can be used for solar and early energy analysis. All systems are modeled with their general size, location, orientation and approximate quantities. It can be used for general performance analysis and early calculations. In this model, elements are accurately integrated, with their actual size and location. It is suitable for producing general assembly and construction drawings. This model allow precise analysis and simulations on every element and system. It can also be used for coordination and clash detection. Every element is modeled for fabrication purpose. It can be used for direct production and construction scheduling. The BIM equivalent of As-Built drawings. In these models, elements are represented with all technical information needed for maintenance and procurement. This table defines the required level of detail for each element of a building model at each phase/LOD of the project. I am unsure whether or not this “Building Information Modeling Protocol Exhibit” can be used as it for any project, especially in France, where construction practices may differ from what the AIA first defined. However, it is a great tool for creating an accurate BIM Implementation Plan. It describes well the expected state of the model for each phase and may come in handy when working with companies which have not yet integrated all requirements of a BIM workflow.